The dating landscape is ever-changing, especially in the age of Tinder. Before social media and apps made meeting people online super-commonplace, it was low-key taboo to talk about it. 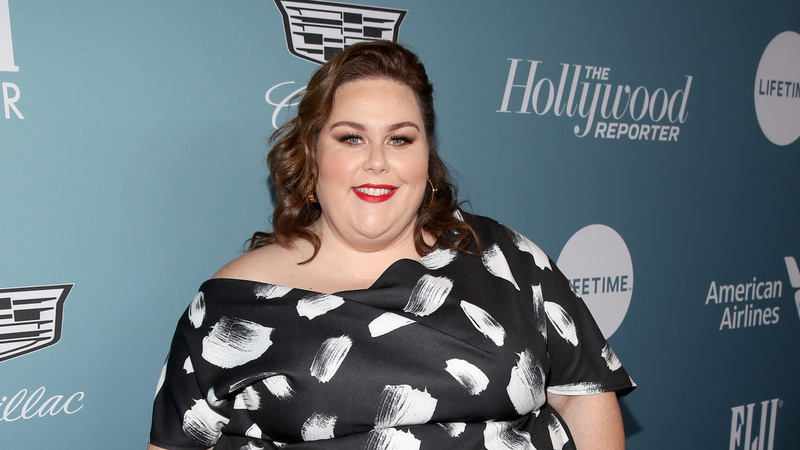 In a new interview on Busy Tonight, actor Chrissy Metz talked about that time and admitted that long before we got to know her on the hit show This Is Us, she met a guy online, only for their in-person meetup to fall apart pretty much immediately. Metz explained that when she got to the bar, she parked her car and walked toward the entrance, but she didn’t make it into the actual bar: “I’m walking. He’s walking. We see each other, and we’re like —.” Here, she made a sound effect and demonstrated how they veered away from each other as soon as they realized they were both there. The experience didn’t totally sour Metz on online dating, though. She told Philipps she did continue to online date after that miss, though now, she has a boyfriend. “So no more of the online dating,” she noted. During her appearance on Busy, Metz also admitted to being highly competitive to the point of being “obnoxious,” so playing games with her friends isn’t always relaxing in her off time. She said she watches a few reality shows, including Love After Lockup, which she spent seven hours binging with her best friend on Thanksgiving. Metz’s candor is always appreciated, especially when it comes to topics like her love life. Modern dating can seem strange to people who haven’t had to navigate it, like Philipps, who told Metz she met her husband “the old-fashioned way, in a bar,” which Metz called “organic” — which we can totally agree with.